From simple fitness trackers to the latest GPS watches and heart rate monitors, running watches are designed to optimise and personalise your training to help improve your performance. The running watch you choose will depend on your training goals and budget, but remember, the highest-priced option isn't always the best running gadget for achieving your goals. More and more running watches are able to pair with your smartphone allowing you even easier access to your data as well as giving you smart notifications to alert you to texts, calls, and emails. With a longer battery and operation inside a wider temperature range running watches are less likely to fail in hotter and colder conditions too. 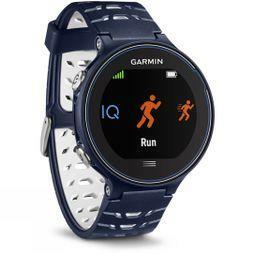 Running Watch Vs Fitness Tracker? Fitness trackers offer the most basic running data; a step count, calories, and distance. 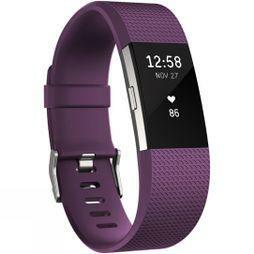 More advanced fitness trackers can always monitor your sleep and record your heart rate too. They often have excellent battery life and are lightweight and easy to use. If you're a beginner runner this is probably enough for you. In addition to giving you all that a fitness tracker has to offer, GPS running watches use global position technology to accurately record your route so you can later analyse your pace, cadence, and elevation to optimise your training. If you're running longer distances or on hilly terrain GPS watches are ideal as they can record vertical gain, giving you more accurate data than a fitness tracker. Newer GPS watches are often GLONASS, the Russian version of GPS, enabled allowing more accuracy all over Europe. The ability to record your heart-rate, either through a built-in monitor on your wrist or an external chest strap, is seen as the next level in terms of running watches. Being able to track your pulse and beats per minute during exercise allows for a much more tailored training plan, using heart rate zones to boost fat burn, speed, strength, and endurance. Heart-rate monitors can also estimate your VO2 max, your maximum oxygen consumption, and your recovery rate. While these watches are usually more expensive, many brands offer their bestselling models both with and without a heart-rate monitor to cater to different budgets. Multi-sport watches are waterproof and can record all of the above statistics but specific to whether you're running, cycling, swimming, and even hiking, snowboarding, skiing and paddleboarding to name a few. Perfect for triathlons and outdoor adventures. Every feature on your running watch is engineered to optimise and personalise your training and racing for your enjoyment so you should always consider what features are important to you. Running watches can range from £50 to £600+ and while usually, the more you spend the more features you get, not all features will be useful to you and your running. Running watches within £100 will come with limited features, sometimes without GPS, but can pair with your smartphone for added data. These are usually good lightweight options giving you pace, distance, and calories. Watches at this level should come with heart-rate monitors, GPS, and built-in accelerometers so you can record accurate data whether you're inside on the treadmill or outside. You'll be able to utilise heart-rate zone training and interval timers for ultimate performance training. At the higher price point you start to get the really interesting features from vertical oscillation, to a built-in compass, multi-sport tracking, and real time coaching. Watches at this level will offer VO2 max and even be able to calculate your stress levels.